Planning to travel halfway round the world? Then you have the option to fly in style on the Gulfstream G550. Upon hopping on this private jet, you’ll get to skip out on cramped airports and the risks of flight cancellations. 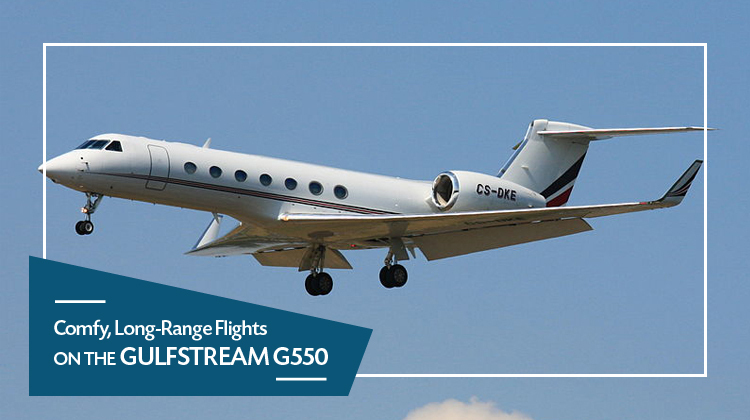 By hopping aboard the Gulfstream G550, you can take a long-range trip in just one go with no need for connecting flights. Coming from Toronto, Canada, the Gulfstream G550 lets you reach as far as New Delhi, India, Ho Chi Minh, Vietnam or Kathmandu, Nepal. The Gulfstream G550 also has the complete facilities to ensure your utmost comfort throughout the trip. For instance, the galley’s standard features include an espresso machine, microwave oven and chillers. Its cabinets may also function as a pantry and storage boxes of plates, cutlery plus other materials for preparing meals. This aircraft’s zones and seats are also multifunctional, which means the divans may be converted into beds. Know more about the specifications of this aircraft and schedule for your very own private charter today. The Gulfstream G550 has various zones of passenger seats where business partners, friends or family members may gather round or lounge in. A standard seat may be reclined plus it also has its customized control system so you may adjust your lighting. It may even have a personalized television panel which allows for you to enjoy the plane’s in-flight entertainment system. Another usual feature which the G550 has would be its WiFi connection, which lets you stay connected with friends, family and professional networks. To make the most of your 9-hour trip, it’s always best to confirm the aircraft’s interior features with the operator. This aircraft’s speed is among the fastest compared to other planes within the same category. Did you know it can fly to 51,000 feet within less than 20 minutes after it takes off? It even has the capacity to fly huge amounts of cargo so you’ll be sure to bring your necessities on your upcoming trip. Perhaps you may be maxing out the plane’s flying distance. In this case, it would be necessary for you to confirm your trip’s allowable luggage weight and passenger count with the operator. This way, the best combination of routes and schedules may be prepared as part of your flight plan. As a general rule, a lighter aircraft can fly you to the farthest destination at the fastest paces possible. 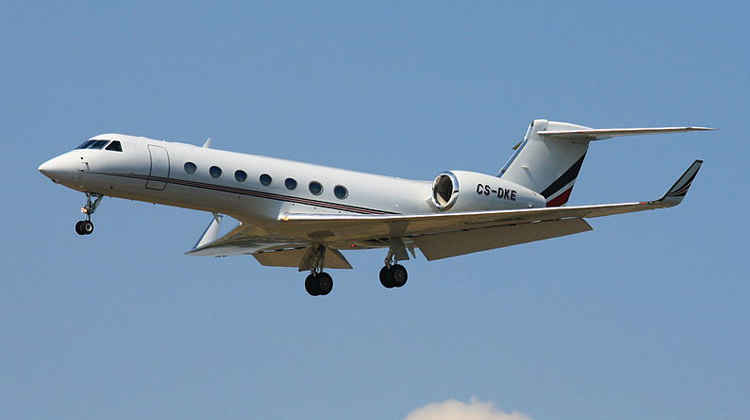 Manufactured by Gulfstream Aerospace, the Gulfstream G550 was first introduced in 2004. Today, it has about 530 units produced and being flown all over the world. Its operators come from 16 countries such as Sweden, USA, Singapore, Italy, Israel, Australia and Germany among other locations. This aircraft is mostly used for military, business and executive purposes. It also has 5 other variants with modified components to function for specific applications.